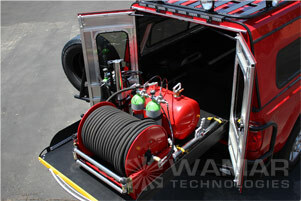 IFEX Fire Fighting Equipment and Vehicles — Wamar Technologies, LLC. 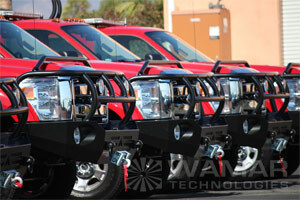 Wamar Technologies recently completed construction of five firefighting vehicles including two bed mounted IFEX impulse water canon trucks and three support trucks. The firefighting vehicles are based off the 2012 Ford E-350 chassis and feature radio communications, emergency lights and sirens, PA and intercom systems as well as custom heavy duty bumpers with brush guards and winches. Contact us today to learn more about IFEX products.